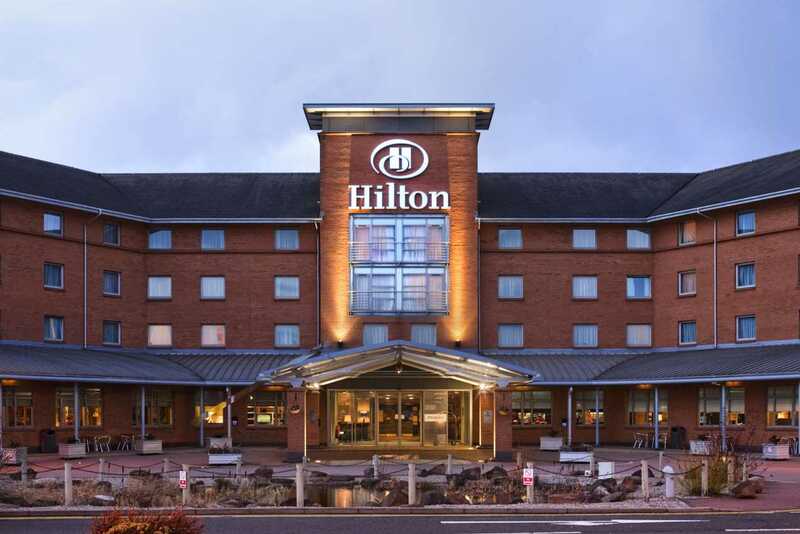 Set between bustling cities of Glasgow and Edinburgh, the Hilton Strathclyde hotel boasts one of Scotland's largest hotel leisure facilities. Just 45 minutes from Edinburgh Airport, and 30 from Glasgow Airport, the hotel boasts 6 meeting rooms for 2-400, a business center and wireless internet access in public areas.Order a coffee at Caff ino or a glass of wine at the Hilton Strathclyde hotel bar. Reeds Restaurant is the place to savor international cuisine. All Hilton Strathclyde hotel rooms, from Hilton Rooms up, have a on-demand movies, desk and high-speed internet access. Step up to a Deluxe Room for extra space.It's less than an hour's drive to Scotland's two major cities, Glasgow and Edinburgh, and their vibrant nightlife, culture and shopping. With stunning scenery and Strathclyde attractions like the Drumpellier, Chatelherault and Strathclyde Country Parks, there's something for everyone near the Hilton Strathclyde hotel.